Looking for private in-home or in-studio Harmonica lessons? Our Madison teachers are ready to get you started. Find your teacher today! "He was thorough and patient." a clue how to communicate to others what they do. Tim is one of the exceptions. He has a codified approach of teaching the instrument (including a successful textbook), and helps the students systematically learn all the techniques and theory necessary to enjoy this deceptively simple instrument. Once armed with the fundamental building blocks, Tim's students are invited to explore and expand their musical experience through developing their blues and rock-and-roll solo abilities as well as band/backing skills." much in just a few weeks of working with him (after a year or so of trying to figure things out on my own via the internet). He knows just how to convey in words -- in a way that you can understand and implement -- exactly what you need to be doing with your mouth, lungs, etc. to help you improve your sound. As such his instruction can provide a great foundation for playing in any genre (blues, pop, country etc.). Also he's super laid back so that's another plus." od at explaining things so it is easy to understand. He works with my busy schedule which helps me a lot. I highly recommend him to anyone looking to learn and understand the harmonica fast and correctly." "Awesome! I really like James!" ment, Tim can help you accent your skills by adding the harp to your music. Take some lessons from Tim and you will be amazed. 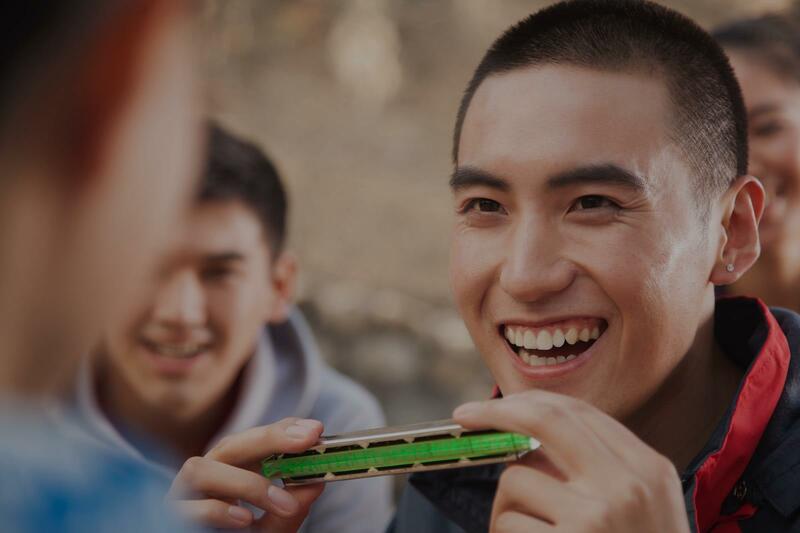 There are many harmonica instructors on this website, so please consider trying Tim as your instructor. I've taken lessons from Tim for 6 years now. I met him at his harmonica book signing and asked if he would teach me since I do not read music...I know rhythms from playing drums when I was younger. I now have my own blues band and do many side projects with the harp. Some tips for those getting started or those that want to become proficient at the harp: come to each lesson with questions about music, equipment and anything you are curious about; his book and website really can help you understand how to play and what to play in most situations; practice in the cellar 2-3 times a week and you will improve quickly. Good luck with your musical journey!" t, intelligent, well thought up and focused the core fundamentals to get playing the right way as fast as possible. He wrote a great instructional book too!" reat guy with a laid-back, easy way. Tim is very supportive and will ease any anxiety you may have. He understands the process of learning and knows how to teach! Tim makes things fun, he will challenge you at your level. He’ll give you riffs and drills that quickly link to songs, so in no time you’re playing. Tim has all the skills and tricks and will make them accessible to you. He will help you key in on what’s important to keep you moving in your process. Keep your harp handy, listen to Tim, give it 10 minutes 3x a day, and you’ll be “killing it” in no time. But, it’s all about the process, and Tim makes it fun! Look no further. My only regret is that I am unable to give Tim 6 stars!"